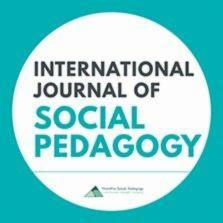 This paper presents social pedagogy under very difficult conditions in the Multicultural School of Athens. More specifically, the paper introduces the Participatory Transformative Pedagogy model developed to train our students to overcome conflicts and to learn to coexist, communicate and gradually to participate to common actions and finally to collaborate effectively. Our efforts aim to introduce cooperation among students that have come from war-torn countries, have suffered a lot and finally meet, in the same school, students ‘responsible for their suffering’; this is the environment of the first multicultural School of Athens.Participatory Transformative Pedagogy (PaTraPe), is a promising approach for making students develop relationships as the only way to deal with the demanding requirements of their classes that value cooperation. When sustainable relationships have been established, social pedagogy methods emerge. The aim of our model is to let a ‘social pedagogical wind’ blow in the Multicultural School of Athens, so that effective communication, community collaboration and social cohesion could be established. Social Pedagogy: What Can We ask about its Value and Effectiveness? *Panagiotis Kalagiakos: Ph.D., The University of Birmingham in 1994, M.Sc. in Computer Science from Stevens Institute of Technology, USA in 1986. Currently, adjunct professor at the Advanced Technological Educational Institute of Athens, research professor at Hellenic American University and adjunct professor at City University of Seattle. His research interests include semantic web technology, reuse resources technology, multicultural education, social sharing, e-learning tools and approaches, and integrating healthcare services. Throughout his academic career he had faculty positions at the State University of Aegean, State University of Peloponnese, State TEI Chalkis, State TEI Athens, Police Academy, New York University, Hellenic American University, City University of Seattle, The University of the People (e-University) teaching computing courses at both Bachelor and Master levels.